I’ll confess – makeup isn’t something that I wear everyday. I love putting it on but not when I get up in the morning for work! Recently, I haven’t even been putting it on at the weekend. I’ll be honest, I probably don’t wear it very much because I just feel really ugly at the moment. I’m really overweight, and even though I have ideas for my Youtube channel, I don’t always feel good showing my body. Actually, I haven’t yet even though I know that I was planning on doing a Valentine’s Day get ready with me. For all I know, I might just make it a makeup look. I am starting a new weightloss plan soon, so I hope this will help my lose the weight I need to and make me feel better about myself. 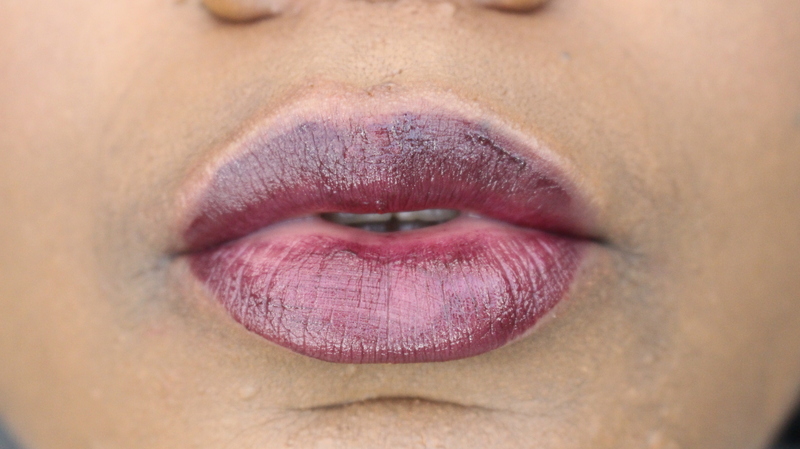 Anyway, I’ve been looking for a really dark red/purple lipstick. I find that I’m more comfortable wearing darker colours which I suppose to some is odd! I decided to go for NYX because it’s a brand that I surprisingly didn’t have in my collection. I went for the NYX Soft Matte Lip Cream in Transylvania and NYX Butter Gloss in Devil’s Food Cake. I’m not sure which one I like best. I will say that the matte isn’t super matte which is a little disappointing. I’d like to invest in some more NYX lip products and more! BTW! I have a new video on my Youtube channel which is a Valentine’s Day look. I’d be really grateful if you could take a look? Previous Post New Youtube Videos? Next Post My Makeup Challenge! I love nyx matte lip creams! They tend to be more matte if you blot them! Thanks, that’s a good idea!